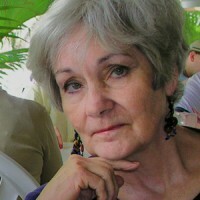 Rita Welty Bourke has published over forty works of fiction and non-fiction in literary magazines including The North American Review, Cimarron Review, Louisiana Literature, Shenandoah, Witness, and the Black Warrior Review. One of her stories, Gunnison Beach, has been included in an anthology entitled “Naked” compiled by Susan Zakin. Five have been nominated for Pushcart prizes. Her essay entitled “The Larry Brown Discovery Tour,” originally published in The Chattahoochee Review, appears in the online journal The Smart Set. Ms. Bourke was a semi-finalist in the Faulkner Words & Music Literary Contest for Novel-in-Progress in 2004, 2005, and 2006. She was a finalist in America’s Best Short Fiction Contest in 1994. Ms. Bourke is currently at work on a non-fictional story set on Cumberland Island, Georgia. Rita Bourke is married to the songwriter, Rory Bourke, and has three daughters: Allyson, Kelley, and Leslie. She lives in Nashville, Tennessee. When I first learned there was a writer with the same last name as mine, I was shocked. I remember thinking, if someone named Welty can become a writer, maybe I can too. Her name was Eudora Welty. She lived in Mississippi. She’d written something called “Delta Wedding,” but the library at my school didn’t have it. They did have a shelf devoted to Nancy Drew, the Bobsey Twins, and Trixie Belden. If you wanted to check them out, you had to make certain Sister Benigna was not on duty at the checkout desk. Such books were trash, she said. Read something worthwhile. I read Jack London and nearly cried for the man who froze to death because he built a fire under a tree. I read Jonathan Swift, and I still remember poor Gulliver, tied to stakes on the sandy shore of the island of Lilliput. I was in high school before I read the Eudora Welty books. I found myself immersed in a world beyond the adventure and mystery stories I loved. I understood, then, what Sister Benigna was talking about. When I married, I added “Bourke” to my name, and for a time, I left the Welty behind. But I always missed it, and gradually, on stationary and bank accounts, on tax records and mortgage papers, I took it back. I thought Ms. Welty might answer my letter, but she did not. No matter. I’m glad I wrote it.